b) Motorized with remote control. c) Motorized with wall switch contoller. d) Motorized plus automatic sun and wind control system. F5100 swing arm awning: TECHNICAL DATA: 1- Awning arms: 31&times;18&times;1mm 2- Cassette: 48&times;111&times;1mm 3- Roller Tube: 60x1mm 4- Front bar: 35&times;1mm 5- Gear Box:1:7 rate AWNING SIZE: 120&times; 100CM 150&times; 100CM 200&times; 150CM 250&times; 150CM 300&times; 150CM 350&times; 200CM 400&times; 150CM 400&times; 200CM OPTIONS & FUNCTIONS: 1. Ideal for balconies, drop arm awnings are designed to shade the window and prevent internal glare and/or fading of curtains and indoor furniture. 2.Stylish and simple, they are a popular choice both for domestic use and for shops, cafes and restaurants. 3. The awning fabric is made from hardwearing, waterproof, rot-proof, PU and UV stabilised 280gsm polyester or 300gsm acrylic and is easy to sponge clean. 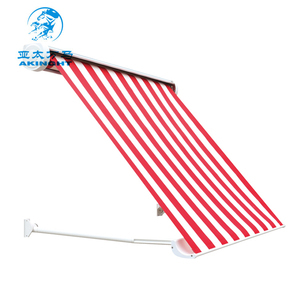 3/Packaging of retractable awning :1pcs/ctn 1.Q:How many days delivery in general9 A:Usually 15 working days,if you need urgent processing, you need to instructions in advance. 2.Q:How much the transportation freight of sample9 A:The freight depends on the weight and package size and your area. 3.Q:What are your products&rsquo; feature and advantage9 A:Sunshade, waterproof ,blocking dust and thermal radiation effect, 4.Q:Can provide free samples9How long can I get the samples9 A:Yes. Extended Warranty 3-Year limited warranty on WebiTelecomms Products, upon registration for extended warranty. With the unique location advantage of Ningbo port,WebiTelecomms has exported to over 30 countries. 5) What is your Product Warranty9 ---As Europe market, we have CE RoHS and other international safety standard for our products. 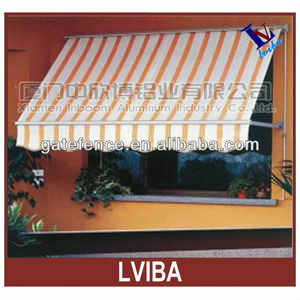 Alibaba.com offers 68 swing arm awning products. 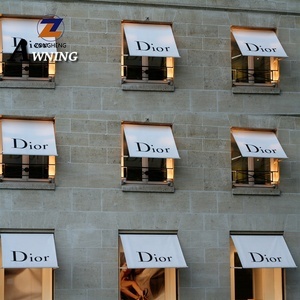 About 73% of these are awnings. 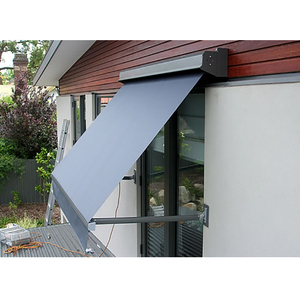 A wide variety of swing arm awning options are available to you, such as aluminum, aluminum alloy, and stainless steel. You can also choose from not coated, pa coated, and pu coated. As well as from acrylic, poly. 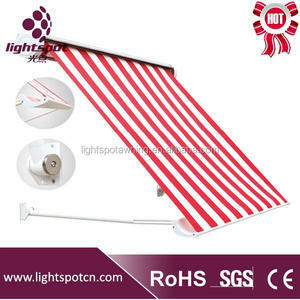 And whether swing arm awning is remote control switch, manual, or ordinary switch. 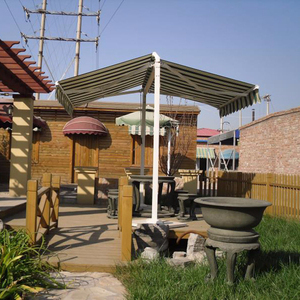 There are 68 swing arm awning suppliers, mainly located in Asia. 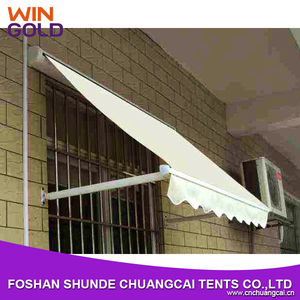 The top supplying country is China (Mainland), which supply 100% of swing arm awning respectively. 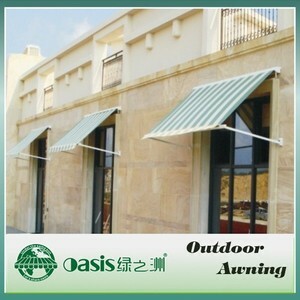 Swing arm awning products are most popular in Domestic Market, Western Europe, and Central America. You can ensure product safety by selecting from certified suppliers, including 15 with ISO9001, 4 with ISO14001, and 3 with Other certification.